These words from Shakespeare’s Romeo and Juliet are indeed the epitome of love and romance. Romance is an intoxicating emotion. Something that cannot be written or spoken about, something that can only be experienced. Romance is a heady alchemy of the chemistry between two individuals and the environment in which they are thrown together. But alas romance is also like a fragile flower that is delicate and needs to be nurtured. Romance is like the flame of a candle, ephemeral in nature with the need to be rekindled again and again. So when you feel that the embers of romance are about to die, it is time to fan the flames again. What better way to rekindle the flames of romance than time spent together away from the humdrum of routine life in the lap of nature. The mountains are a great catalyst for romance. There is something in the mountain air which seems to breed romance. A candlelit dinner with slow conversation and two pairs of eyes seeking each other used to be the standard De rigueur for a romantic evening and still is for many. But don’t you think that is passé now, though it does have an old-fashioned charm? 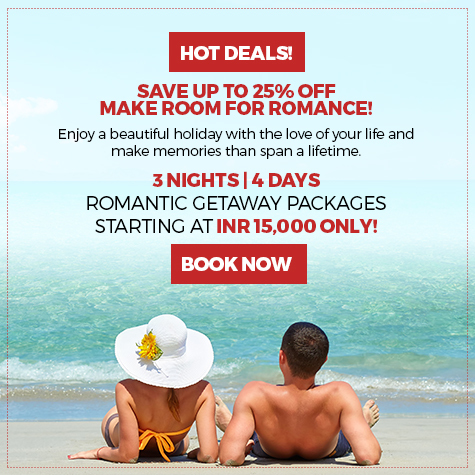 This vacation, it’s time to explore offbeat romantic ideas to pamper your loved one and bring the romance back to life again. How about heading into the forests for an immersive experience of the gift of the forests? The lush forests of this hill station are one of the best tourist places to visit in Kodaikanal. Just the two of you in the forests with just the sounds of innumerable birds and the stillness of the forest for company. 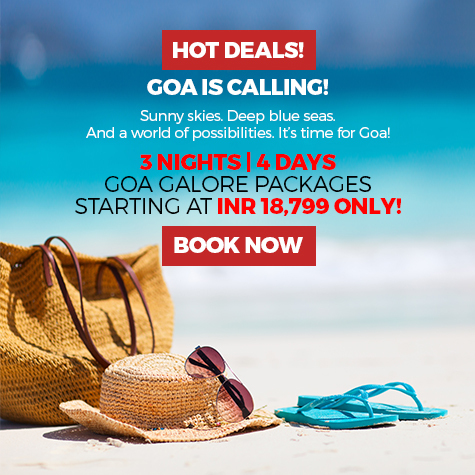 An experience that will connect you directly with nature and more importantly reconnect you with each other. Think about spending an evening watching the sunset, just the two of you, and as the sky turns rosy your hands reach out for each other in tandem and you feel the stirrings of romance. It is now time for a dinner in the forest, a dinner which seems to burst with the promise of romance. As the birds chirp their way to their nests, it is time to retire into your own tent of romance and emotions. The fragrance of the forest air that carries the aroma of a million herbs intoxicates you. The croaking of frogs seems to assume Beethovian proportions as the forest serenades you. As the embers of a bonfire die down you surrender to the embrace of rekindled romance. Forgotten are those hectic workdays, those seemingly unending traffic jams, those unrealistic deadlines. They all seem so distant and far away. Romance has pushed the mundane things of life to the periphery as you revel in living those moments, moments filled with nature and romance, moments that will linger in your minds, long after the time has passed. You wake up in the wilderness, to the sweet music of the forest and realize that your mind and heart is rejuvenated, recharged with the elixir of romance and you are ready to face the world again, till you feel the need to rekindle romance again. You can even go for a scenic and romantic drive along the once famous Kodaikanal-Munnar Road. Kodaikanal, also known as the gift of the forests is a place where one can actually feel the romance in the air. This beautiful mountain getaway is just what the doctor ordered for couples looking to reignite the passion of romance. Sterling, with two resorts in Kodaikanal provides the perfect platform to embark on a voyage of rediscovering romance. The Sterling Kodai Lake in keeping with its brand promise of curating holidays differently guides you on your romantic journey with experiences that are sure to spark the embers of romance. Again what Sterling curates is not your run of the mill a experiences. They are different and sure to bring back the magical moments of romance in your life.